It's all here: She said SheShed!! 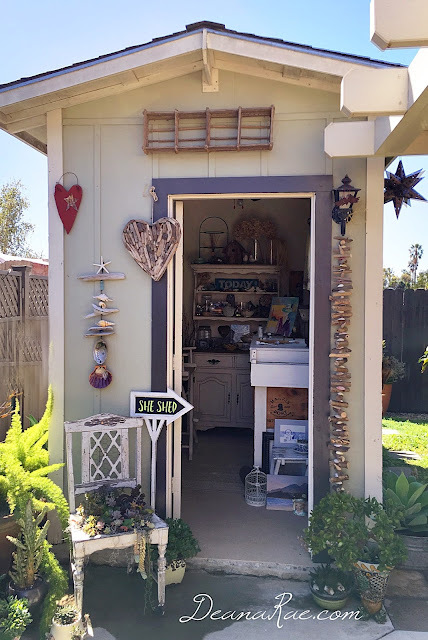 According to a recent blog article by Wayfair.com...."The She Shed craze is taking over. 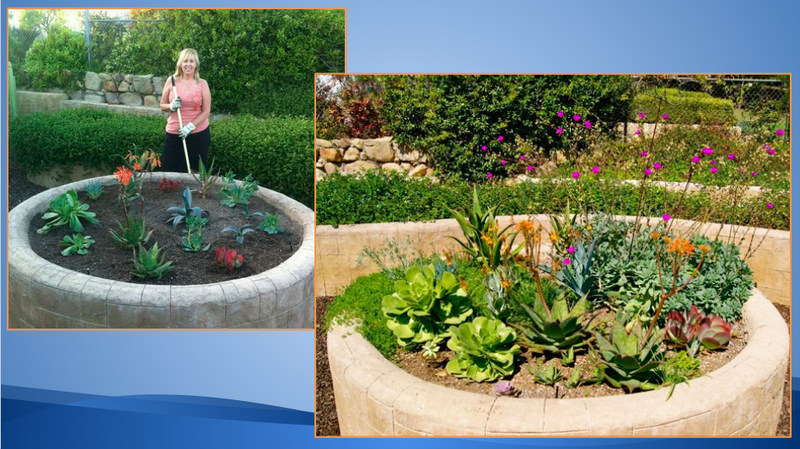 Across the country, women are creating an oasis in their backyard to help escape the stress of the day. Some use their She Shed as an office while others are using them as a quiet place to read and relax. 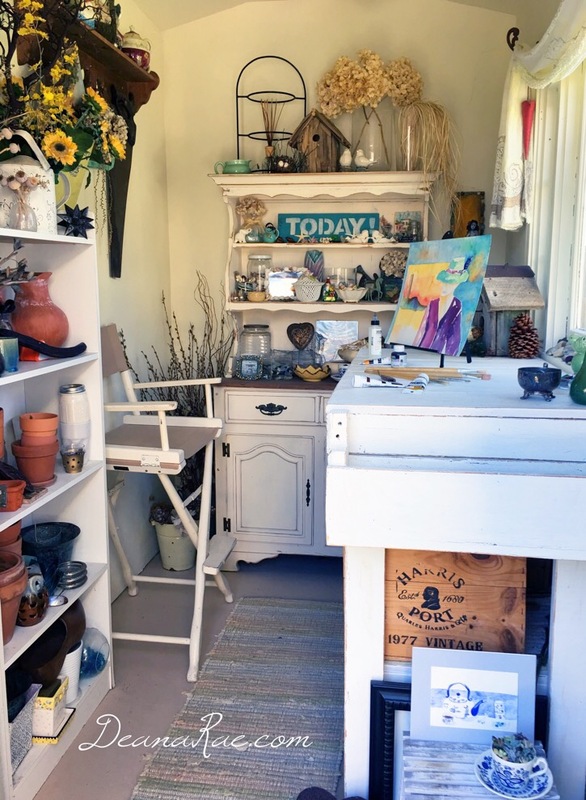 What used to be a simple storage shed has turned into a fully customized living space. 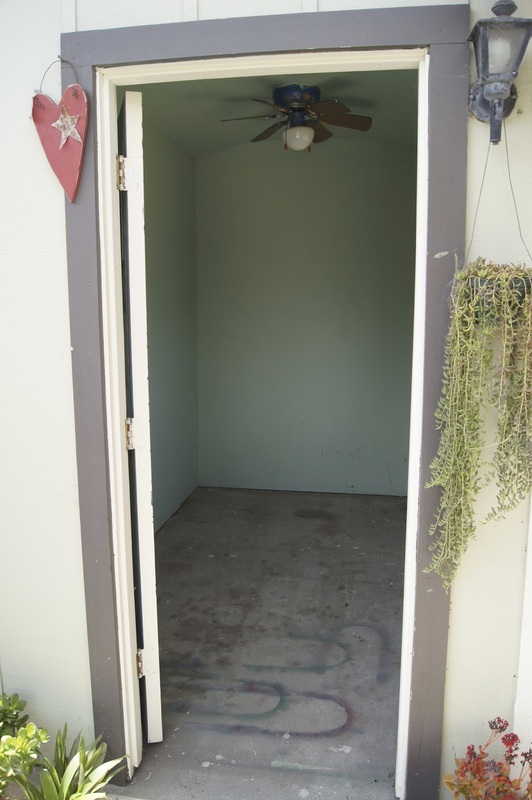 Man caves are so yesterday, the new trend is She Sheds." Click to read the full article where you will see that my photo is featured after they saw one of my Instagram posts. What an honor!!! When my husband and I bought our house in 2011 this was just a dirty storage shed. Immediately I had visions of turning into a potting shed. But I quickly came to realize that was too much dirt to bring inside, and my plans started forming to make a cute little art studio instead. That was before I ever heard the term 'she shed.' 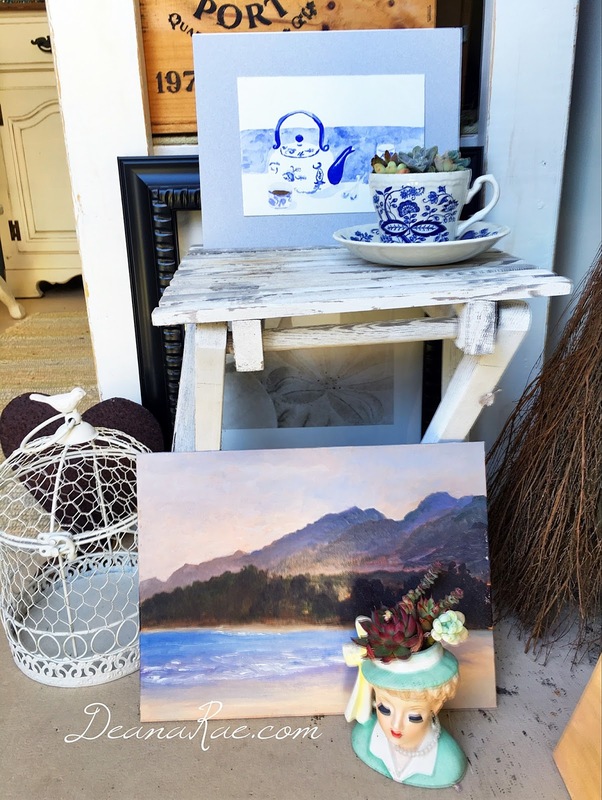 Over the past four years I've added pieces and collected things from garage sales, thrift and antique shops. 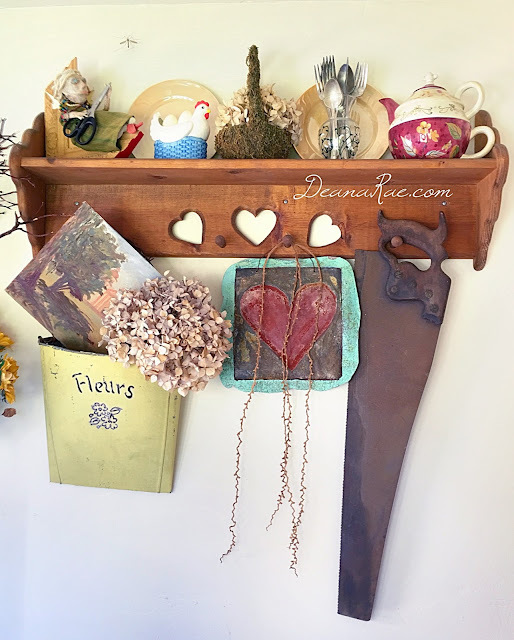 Whatever fun items I could repurpose. I love working in there and I can have all my collections out and leave a mess if I want. Then I just shut the door and my 'mess' is still awaiting the next day. 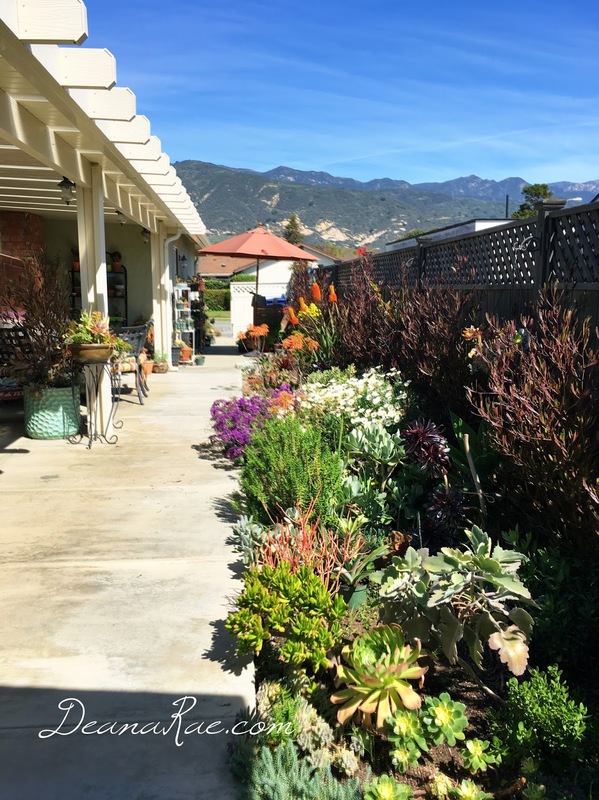 I'm an artist, garden designer, master gardener, photographer, blogger and collector. This is the perfect place for me to go create and be inspired. 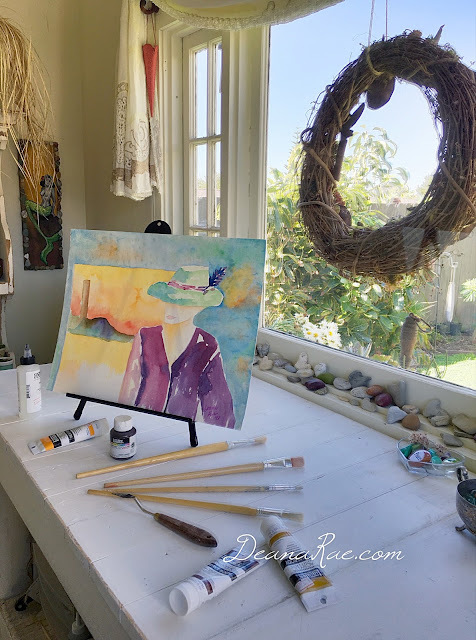 It’s now my private cozy art studio that I use for painting, framing my photographs, crafting and more! I call the style of my She Shed girly rustic/shabby chic, with the best view ever. 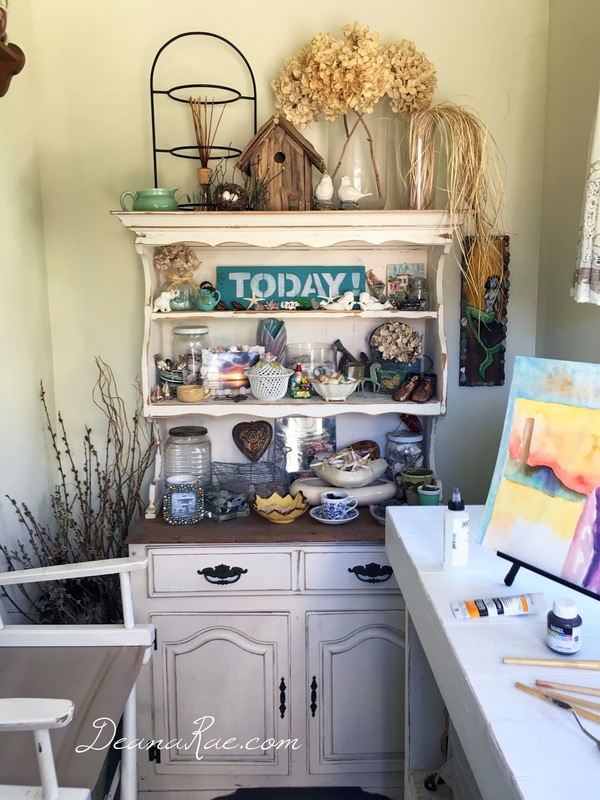 If you search Google, Pinterest, Instagram, Facebook for "She Shed" you will find thousands of images of beautifully designed and inspirational spaces. I created mine on a very small budget, but I have dreams of expanding it with an attached deck, French doors, seating and more! 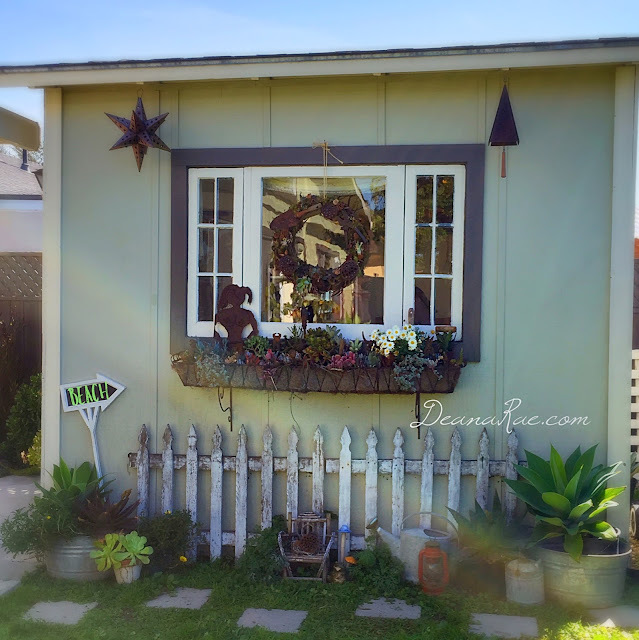 Please enjoy these photos of my She Shed - I hope they inspire you!!! Before the transformation. It had good bones, all it needed was some paint and decor. I had the workbench custom-built to my height for standing or sitting in my director's chair. This hutch was a Craigslist find and happened to belong to a neighbor one block away. I can create a mess and then shut the door and go inside. Love that!! There is a place for everything in my She Shed. All my crazy treasures that need to and should be on display. Thank you and I apologise for the delay in responding. Make sure to to like my Facebook page, Deana Rae Designs, for more frequent updates and quick replies!